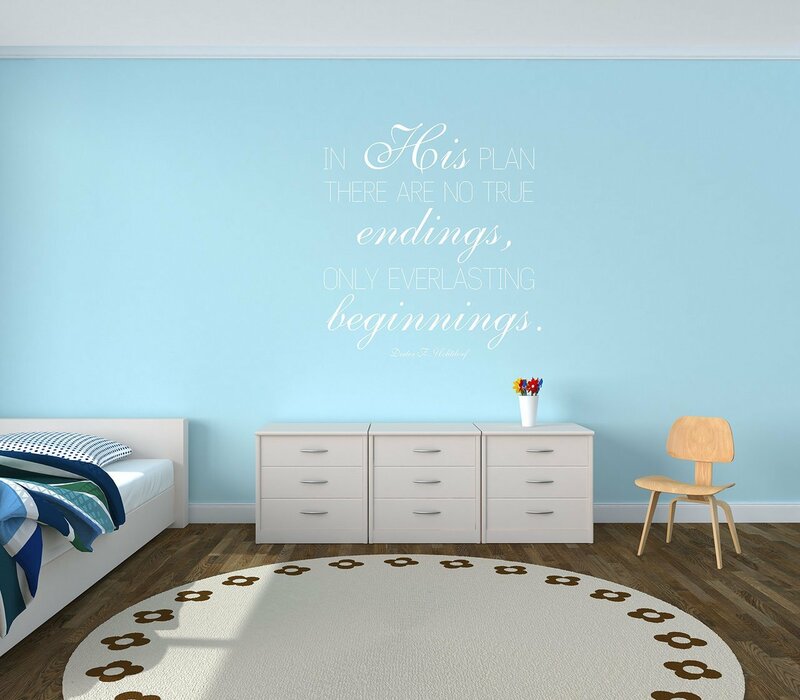 Especially for those who have lost loved ones through death or other separation, it’s important to know that God’s plan is one that doesn’t have endings. 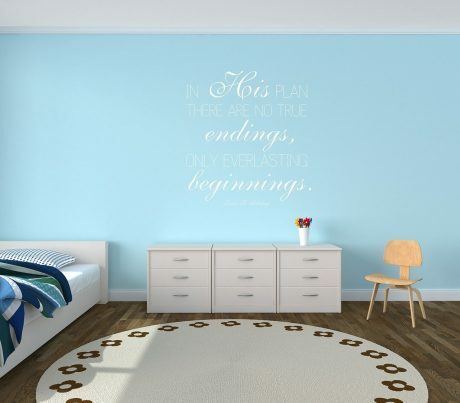 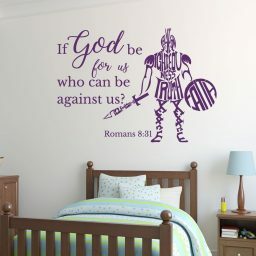 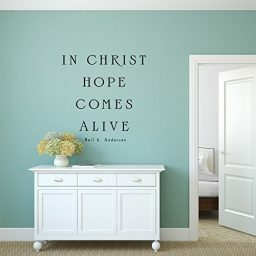 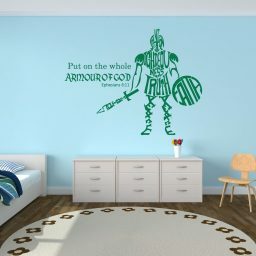 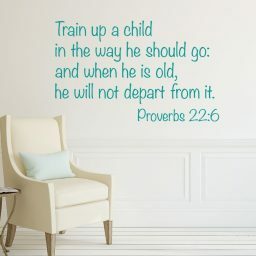 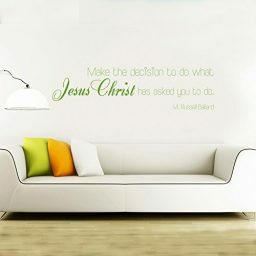 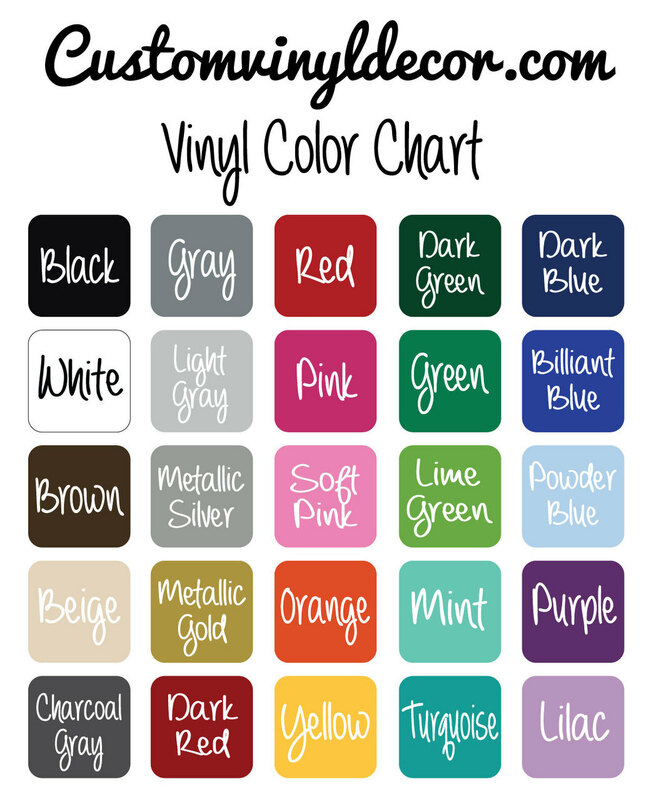 This vinyl wall quotation from Dieter F Uchtdorf, a well-known Christian leader and LDS apostle, makes that principle clear: “In His plan there are no true endings, only everlasting beginnings.” Placing this quote in any room in your home will only help remind us that this life doesn’t end after we die. 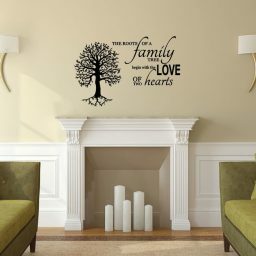 We can be with our families forever. 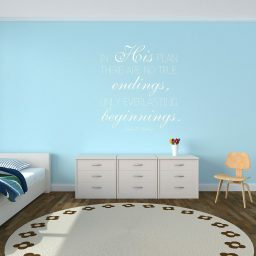 Place this decorative sticker in your church, in your home, in a counseling clinic, or anywhere else you want to convey the religious message that life and relationships go on perpetually.